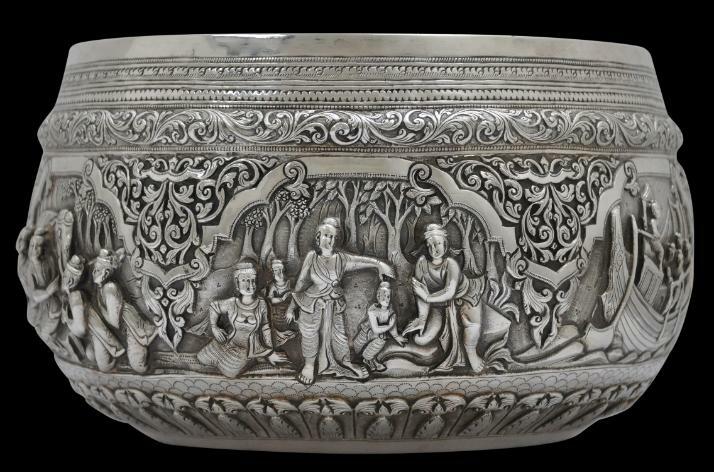 This pleasing, medium-sized, Burmese silver bowl is has six ‘scenes’ separated by pendant cartouches of interlocking, scrolling foliage. It is unusual for the scenes – two of which show boats. 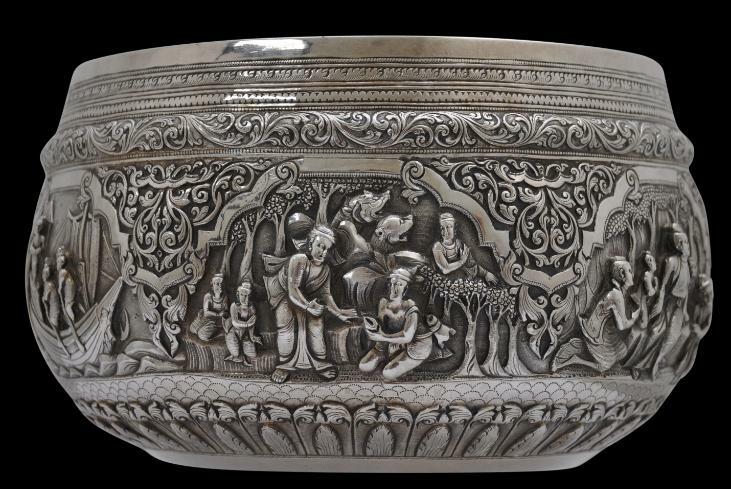 Another includes a forest scene with two unusual dog-like figures. 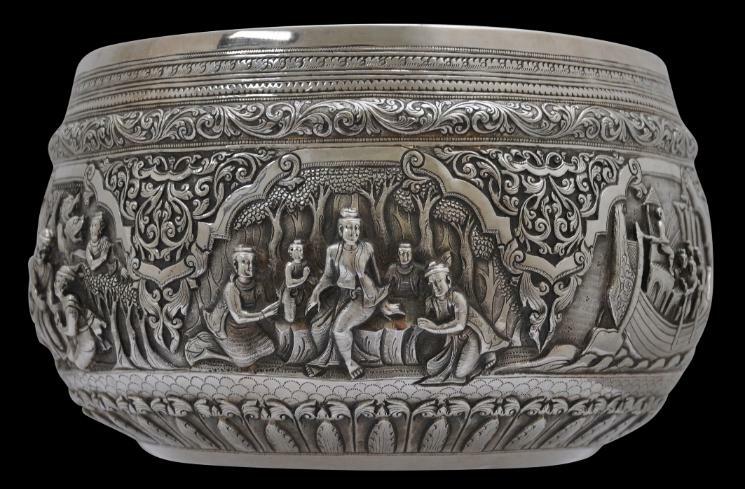 Another shows a meeting of figure all clad in traditional Burmese dress, against a backdrop of an elephant. 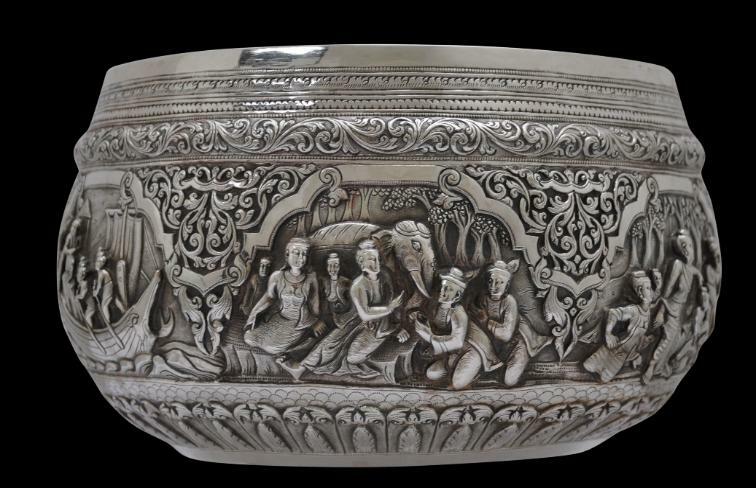 Possibly, this bowl tells a Jataka story – about one of the previous lives of the Buddha. 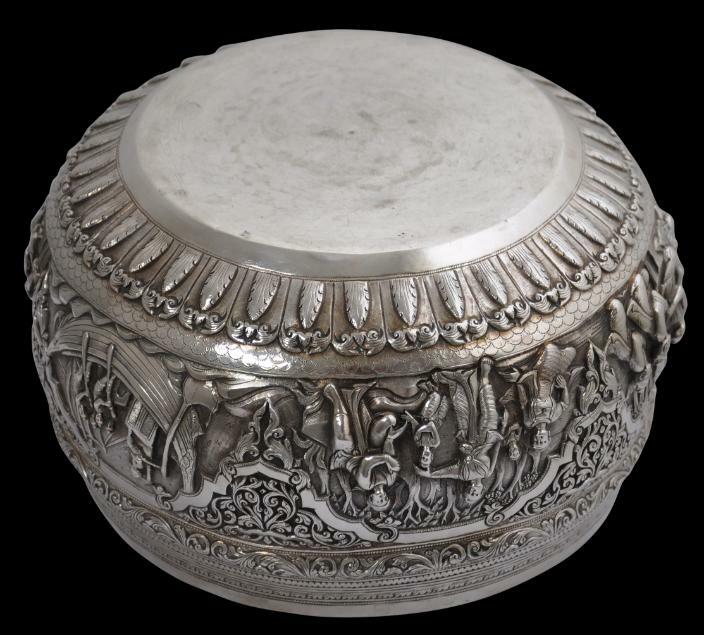 dha-zin-gwei or stylised orchid motif, and the lower consists of a broad band of beautifully rendered petal motifs. The base is plain. 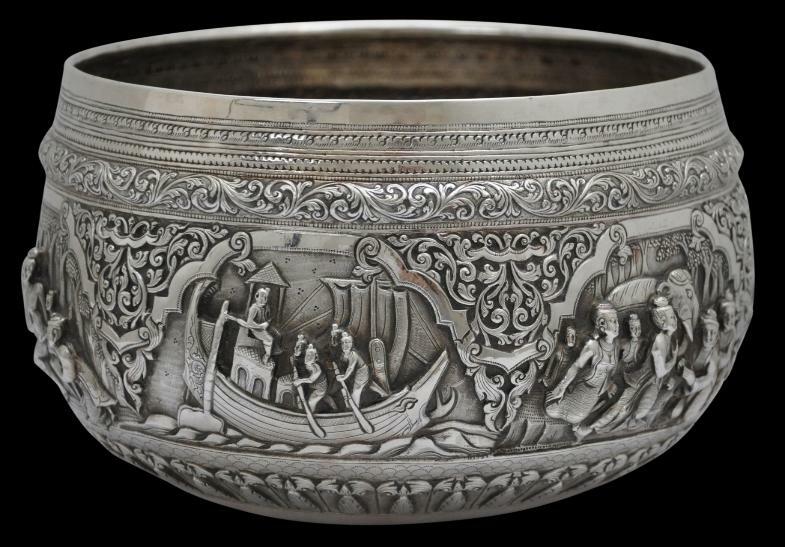 the great skill of Burma’s silversmiths. 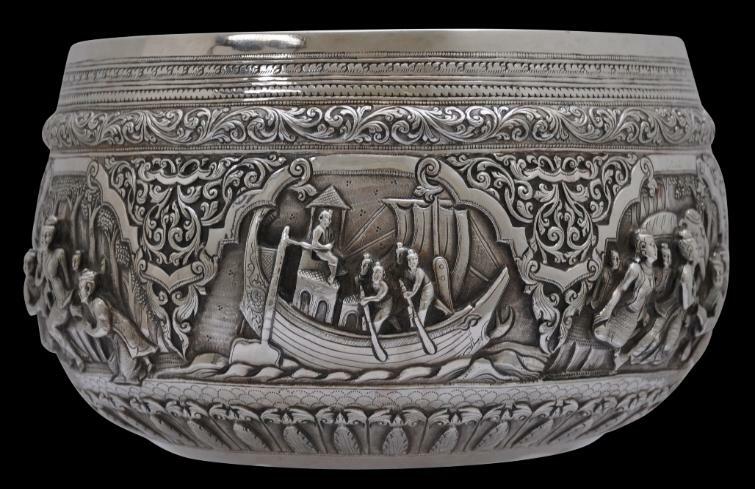 The bowl here is in fine condition. There is slight age-related wear to the definition but is free of repairs, splits or dents. 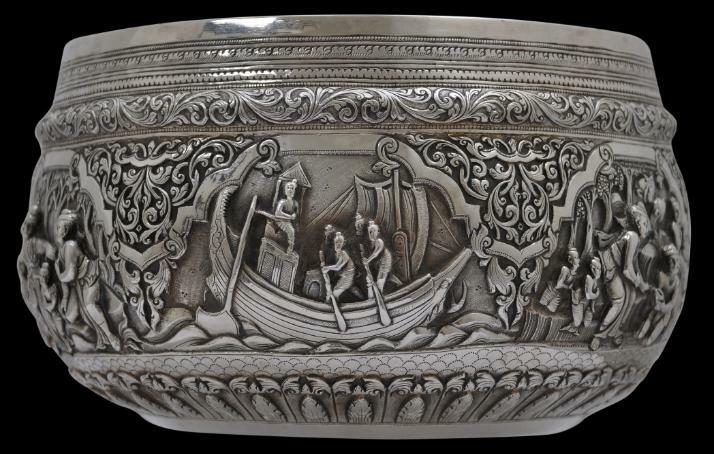 Fraser-Lu, S., Burmese Crafts: Past and Present, Oxford University Press, 1994. Silverware of South-East Asia, Oxford University Press, 1989.